Whenever we come together at the Pvt. Heath Warner Memorial 5K Run and Family Fun Walk, something beautiful happens! This year was no different. From the Marine Cadettes running in cadence to the singing of the National Anthem, I have new memories that make all the efforts of planning this event worth it. I know Heath was looking down and smiling on us. 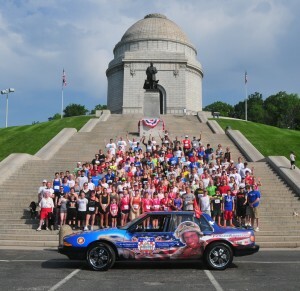 I love our race family photo on the steps of the McKinley Monument! 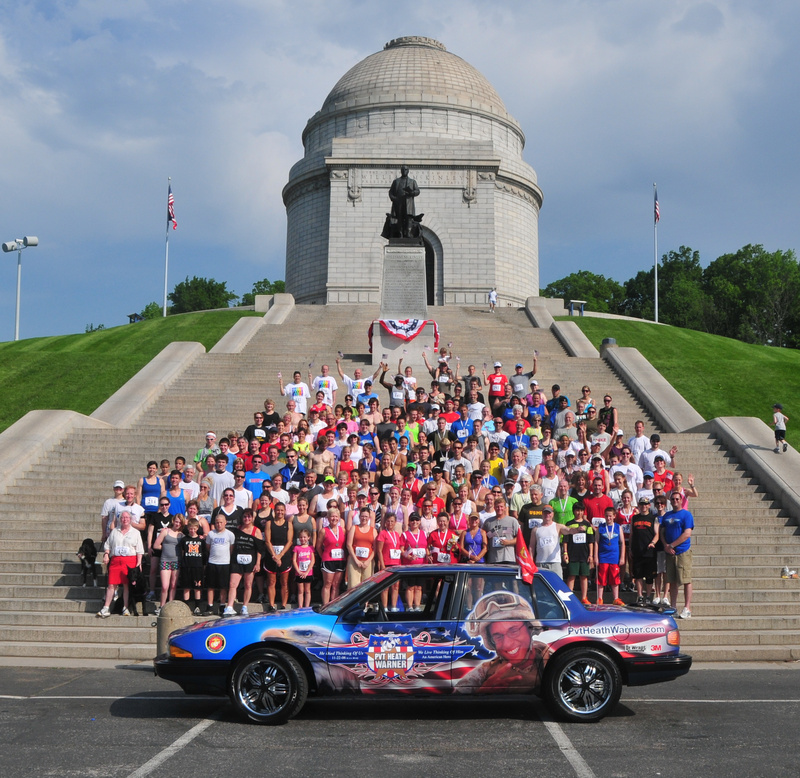 Check out more race photos and race results by clicking on this link. The USMC Pvt. Heath Warner Memorial Highway – It’s Official. On Monday, June 20, 2011, Gov. 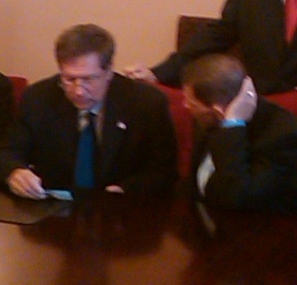 Kasich signed into law HB65 which contained the language to establish the USMC Pvt. Heath Warner Memorial Highway. The memorial higway is located on US 77 as you enter and exit Canton, Ohio. Following the signing, Scott had an opportunity to discuss issues facing Ohio Gold Star Families and asking the Govenor’s office for support. Thank you to State Senator Scott Oelslager and his staff for making this honor to Heath a reality. This entry was posted on Tuesday, June 21st, 2011 at 10:23 pm	and is filed under Past Events, Thoughts and Comments. You can follow any responses to this entry through the RSS 2.0 feed. Both comments and pings are currently closed.